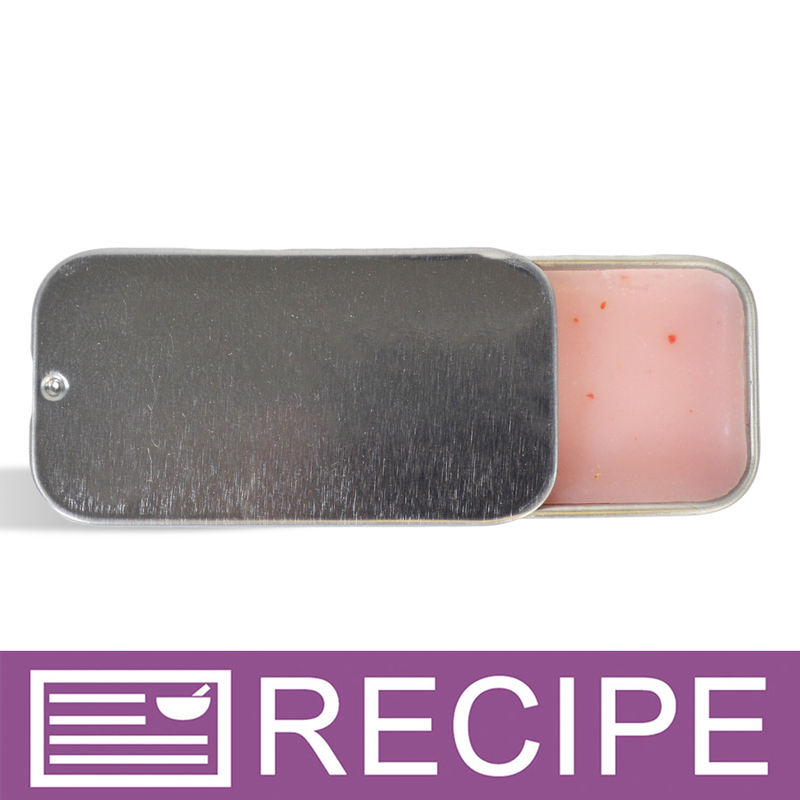 Looking for a fast and easy way to make your own lip balm? 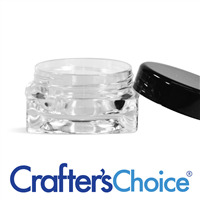 Use our Lip Balm Base for Pots! It is a soft, silky base that readily accepts flavor fragrance and color. Soft, silky base that readily accepts flavor fragrance and color. All Natural. This lip product works best in pots or lip tins. It does not present well in lip tubes. In a pyrex cup, microwave base on low heat until liquid. Add flavor fragrance. Add mica powder, amount as desired. Add super sweet, amount as desired. Pour into lip containers. As it returns to room temperature, product will harden. • The glide is the best feature for me! COMMENTS: This base is great and takes the guess work out of my recipes. Takes Organic herbal powder used for coloring great as well as Essential Oils - I did not use a sweeter and have n complaints! COMMENTS: My customers love this product. Easy to work with! COMMENTS: I love the way this base feels. Mixed well with colorant and flavoring. COMMENTS: So easy to use and makes lip balm making a breeze, will definitely be back for more! COMMENTS: I love this lip balm! It is smooth and nourishing for lips. I have tried to make my own, and ended up with grainy balm. This is so easy and clients love it! COMMENTS: it a good base. it was easy to add color and flavor. used this to fill kids lip balm rings. gentle on the lips. "Good base but a little to soft"
COMMENTS: I really like this base but found it to be to soft for tins. Adding a little beeswax to this makes it perfect and hardens it up nicely. Otherwise I found it to be very moisturizing and will be ordering again! "Lip Balm Base for Pots"
COMMENTS: Makes a wonderful smooth base for pots. Holds the scent/flavor well. Easy to use. COMMENTS: nice product. may have to add moisture for smoother feel. COMMENTS: I use this this spring for my Easter baskets and I loved how they turned out! I haven't had any complaints from customer who purchased baskets so I'm assuming they worked out really well. COMMENTS: I do not usually do much with the pot type lip products, but this one was much better than I expected. I ordered this one by mistake but so far it has sold well and I have liked the product! "I call it lip serum!" COMMENTS: I use this in conjunction with my sugar lip scrub. It is a perfect follow up treatment! Creamy "carmex" type consistency which I label as a serum. Moisturizing and repairing product. Thank you for this item! COMMENTS: I mixed this with another product for lip gloss pots and my customers love it! COMMENTS: I used this as a base for my lip scrub balms and it worked perfect! COMMENTS: So easy to use and incorporate flavor and coloring into. I'm hooked! COMMENTS: SUPER easy to use, melts with ease and takes the flavoring right in. Great product!! COMMENTS: Very nice easy to use a creamy lovely finished product selling fast! COMMENTS: Very smooth in a lip balm. Color and scent incorporate well. COMMENTS: Nice lip balm base. Melted easily and colorant and flavor oil incorporated well. COMMENTS: I like best as a gloss. It is very greasy and it does have a weird smell. I haven't tried to mask it yet.It is not overwhelming..but it is noticible. Adding tapioca starch does help the greasiness. I tried adding 1/2 stick balm to it and that worked nicely also. I will purchase again because it is great as a lip gloss. "Mixed this with the stick base"
COMMENTS: This is perfect to mix with the stick base. Make a just right balm for the small pots. "Didn't know what a good thing I had!" COMMENTS: I have been using this base for almost a year now, and recently decided to try a base from another supplier. What a mistake that was! This base is phenomenal! I (and my customers) love the way it makes lips feel soft and silky without the sliminess or stickiness you sometimes get with lip products! The way it holds flavor and color is another awesome aspect! I'm going back to using this...and only this base from now on! 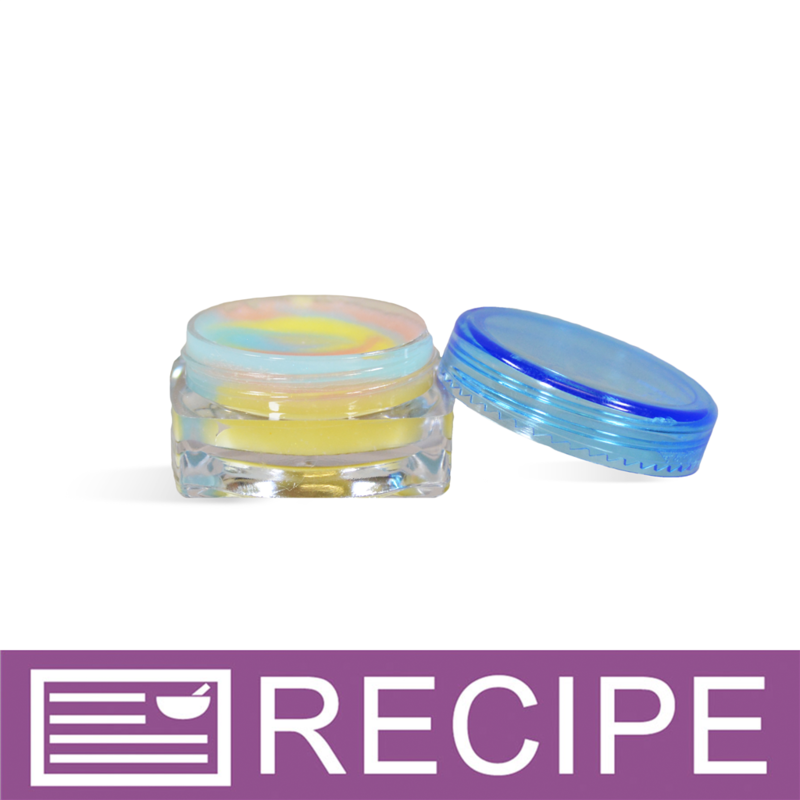 COMMENTS: I love making my own lip butter, this base makes a smooth, creamy, moisturizing lip butter that feels amazing and soothing on your lips. My family and friends are always asking for some and it is a top seller in my line of products. I like to add some flavoring oil for a refreshing smell and taste, then I add mica powder for a bit of color. 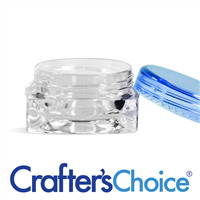 You can't go wrong with this lip balm base. "Excellent makes great lip gloss "
COMMENTS: This is a excellent product. makes lip gloss easy . this item is prefect and leaves lips feeling soft. COMMENTS: All the 5 star reviews influenced my decision to try this base. It's all natural and I'm using half with brown sugar for an exfoliant and honey for a bit more sweet taste. Blends with sugar and honey well. On its own it feels good on my lips. COMMENTS: It's a little too soft for my taste. I had to either add more wax or hard oil, or mix it with the base for sticks to get a firm enough product. COMMENTS: This base is wonderful. It doesn't leave a sticky feeling after use. COMMENTS: This lip balm base like the base for sticks was easy to work with. I used this base and the base for sticks and I am extremely pleased with the way it turned out. I will be using again but will think about adding some granulated sugar in to make a little lip scrub as well. It took color and sent/flavor oil great! I will be buying this again! COMMENTS: It's ok. It's really easy to use. However, it has a strong overpowering scent. It's competes with the scent/flavor and alters it. I have yet to find a scent/flavor that wins over the scent of the actual base. COMMENTS: This is an excellent lip balm base. I mix it with the lip balm base for sticks for a moisturizing - yet non-greasy- balm with the perfect consistency for a pot (not too firm, not too runny). I wear it daily and my customers can't get enough of it. I've also mixed this base with sugar to make a lip scrub similar to the $24 s@&a h@$p lip scrubs. "Customers LOVE this lip gloss!" COMMENTS: My customers absolutely love this product. I make it is a number of scents and colors. Always a hit! COMMENTS: Super simple to make into balms, couldnt ask for a easier product to use. A quick sell at shows as well! Highly recommend! "Great Base ! Easy to use." COMMENTS: This is a great base. Extremely easy to use. It mixes well with all colors I have tried. Great with flavor oils I've used so far. Will definitely keep this one on hand and keep using it. Customers love it as well. COMMENTS: Makes a nice long lasting lip balm, like that it is all natural. COMMENTS: Perfect, love it, long lasting no waxy feel! "Makes a great lip gloss"
COMMENTS: This base took color and flavor very well. I like the softness of the gloss. Having this base saves time and makes this process so much easier. COMMENTS: This base is beyond easy to use, but benefits from adding a touch more wax in my opinion. It must have a very high percentage of castor oil, which is very sticky feeling and unpleasant. COMMENTS: Very good lip balm base. COMMENTS: Very easy to use. Just melt add flavor oil a little color and pour. Sets up almost instant. COMMENTS: This lip gloss is the best I have ever tried. I enjoy the texture and all natural ingredients. This lip gloss is a great addition to my natural hair and skin care product line. My customers absolutely love it. It is the product that I sell the most of at vendor shows. The price and profit potential is the best part. COMMENTS: I really do love the feel of this product. Looking at the reviews, I do tend to agree with some of the customers about it being a little "too soft" and a little too "greasy. I will take the recommendation of the WSP expert and try a little Tapioca Starch-Pure to thicken it up a bit. 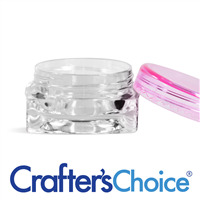 I would recommend this as a first time lip gloss/balm maker, but I am going to try the handmade recipe they have here as well. COMMENTS: Long lasting softness. Very creamy and perfect for flavor and color. My office mates are testing them and I'm getting great reviews! "Crafters Choice™ Lip Balm Base for Pots "
COMMENTS: Love this lip balm base. Melts so easy and quickly. Makes your lips feel very soft. Holds the fragrance wonderfully. "Everyone loves this lip balm"
COMMENTS: I love this lip balm. It is so easy to make. I just heat up, add my essential oils and pour into pot. It's an easy seller when people see they are all natural. I add a free one to orders once a month. Once they try it they come back for more. COMMENTS: This is a very soothing, smooth base. I really like the way it feels on the lips. COMMENTS: I loved this product. Very simple to enhance with flavoring. My family members loved the end result. COMMENTS: Im not sure if I am advanced enough to figure out the FO ratio, but this was meh'. Held Sparkle Pink Mica great, but too goopy for my liking. Waxy smell even after several attempt with Sweet Flavoring added-Im sure it was me. WSP Response: Thank you for your review! We recommend a usage rate of 1-2% Fragrance Oil in this base. If this base is too soft for your liking then you may like the Lip Balm Base for Sticks. If the version for sticks is too hard for your liking then you could attempt to add butters or oils to soften the finished product. We hope this helps! COMMENTS: This is by far the best lip balm base I've used! It's so easy, just scoop some in a container and melt in the microwave. You can make around 15-20 lip balms in under 5 minutes. COMMENTS: Perfect base for lip balms. Add a bit of mica powder and some flavor and voila. So easy to use. Love this stuff. COMMENTS: I bought this product not knowing what to expect. I love it and so do all my customers. It makes your lips feel so soft and smooth. COMMENTS: This is an awesome lip balm base!! I love the soft texture of it ---glides on smooth and no waxy feel at all. It is really moisturizing, too. My lips actually feel softer and moisturized after using this product. All my customers LOVE this lip balm...flying off the shelves. Takes fragrance and essential oils perfectly. Great product!! You got a repeat customer! 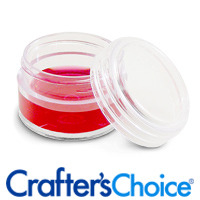 COMMENTS: Product has a silky feel and goes on smoothly on your lips. COMMENTS: This base it excellent for WSP's lip balm pots. It leaves the lips nice and smooth. It does not have an odor. melts easily (when prepping) and mixes well with colorants and lip sweeteners. 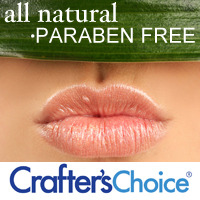 I love how it is paraben free too!! 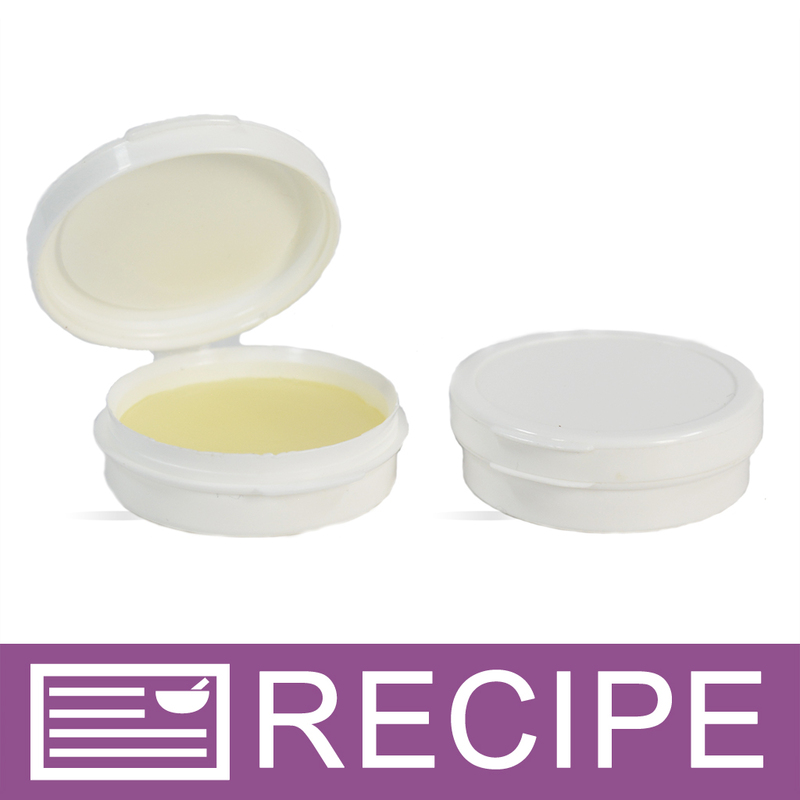 COMMENTS: To make perfect lip balm pots , mix 50/50 lip balm for pots and lip balm for sticks. Makes the perfect not to hard not to soft Lip balms for the pots!!! Easy Easy Profit! COMMENTS: I just made a batch of lip balm pots and it turned out great. My Godchildren helped me and it was very simple and not a lot of fuss. I will definitely purchase more after I get some feedback from my clients. "Christina from Natural Mtn Body Care "
COMMENTS: I love this lipgloss. It sells out so fast on me and Coconut flavor in your pink is my best seller. You need to carry Coconut flavor. I love your lip safe fragrances as that works for soap and lip balm or lip gloss. You need to carry more of them. Great product! Keep it in stock. COMMENTS: A great balm. I was concerned about it hardening up after it was poured, but it took on a perfect pot consistency. Looks great with some lip safe mica and is also a nice opaque yellowish color to start with. Leaves a slight shine to the lips. COMMENTS: Great product takes flavor and color like a dream! COMMENTS: I just made a batch of lip gloss with this base and it turned out great! I was looking for something that would be very light and glossy, and this is it! I didn't notice any smell and added just a few drops of bubble gum flavor oil to give is a slight sweet scent. I will definitely buy this again when I run out! COMMENTS: When I first saw this product in the container, I didn't like the appearance at all! It looked like a soft gooey mess! I wasn't even going to bother trying it out. But after a while, I figured I'd make a 1oz batch just to see. Surprisingly, when I poured it into pots and allowed it to cool, it turned into EXACTLY the consistency I was trying to achieve: a glossy lip balm! Was firmer than the initial appearance, but smooth and glossy and not waxy at all. I am so glad I tried it out and now I'm sold! "If I use both lip bases, 50/50, what would the correct order of ingredients be on an ingredients label, including flavor oil at 1%? Thanks!" Staff Answer Both bases have the same ingredients except for the base for sticks which has 2 additional. You would copy this ingredient list and add flavor at the end. This would be for blending them 50/50. "I purchased a bucket of the base, and noticed it has a very strong smell to it. I did use peppermint oil in the appropriate amount. It still could not cover the strong smell of the base. Did I get a bad batch?" Staff Answer We have never experienced this product having an odor. We will pass this information on to our Customer Service Department and have them contact you regarding this. Thank you. "can i addd beeswax to make it hard instead of adding both bases"
Staff Answer We encourage people to use our recipes for inspiration and make adjustments so they are their own. Beeswax will harden a product. The performance will be different with beeswax. "Are both bases needed for this?" Staff Answer Yes they are. 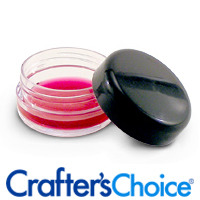 The Lip Balm Base for Pots is a very gooey product by itself. Adding the base for sticks gives this enough hardness to pour the different colors in so they stay separate. Both bases together create a nice, creamy product. "Does anyone know if this this lip balm base will accept color from beet root powder infusion?" 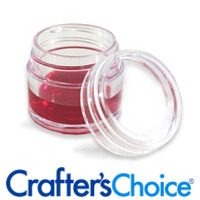 Staff Answer We have not used a beet root infusion to color our lip balm bases but this should work very well. We have used alkanet root powder and that worked very well. "What can you add to this base to create an icy hot or bio freeze feeling that you sell on the website?" Staff Answer This product will sit on the skin and not rub into the skin as a salve would. It is a lip gloss that is meant to sit on the lips to hydrate them. "Is this Base on its own safe to use as a salve on the face and near the eyes (Crows feet Etc.)?" Staff Answer This product is much too soft and sticky to be used on the face. This is strictly a lip gloss. "Is this product pet safe? Meaning could I put it on a dog / Pet?" Staff Answer This product is all natural but we have never heard it being used on pets. We recommend checking with your vet to see if these ingredients are safe. "I would like to use the Lip Balm Base to make solid perfumes. Has anyone else tried this? Anything I should add to the base (other than fragrance)?" 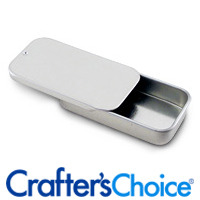 Staff Answer You can use this for a solid perfume but we recommend the Lip Balm Base for Sticks, not Pots. This would be much too soft. 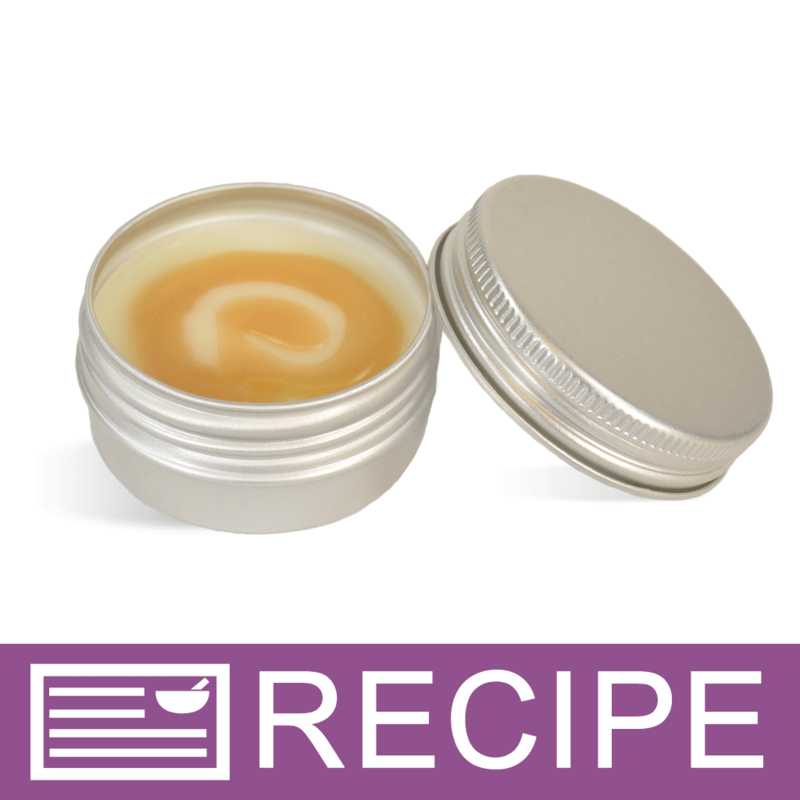 Here is a link to a recipe we have made: http://www.wholesalesuppliesplus.com/handmade101/how-to-make-recipes/springtime-fragrance-balm.aspx. "Could this be used in squeezy lip tubes since many reviewers are saying this is on the runny side?" Staff Answer Yes it can be used in a squeeze tube. 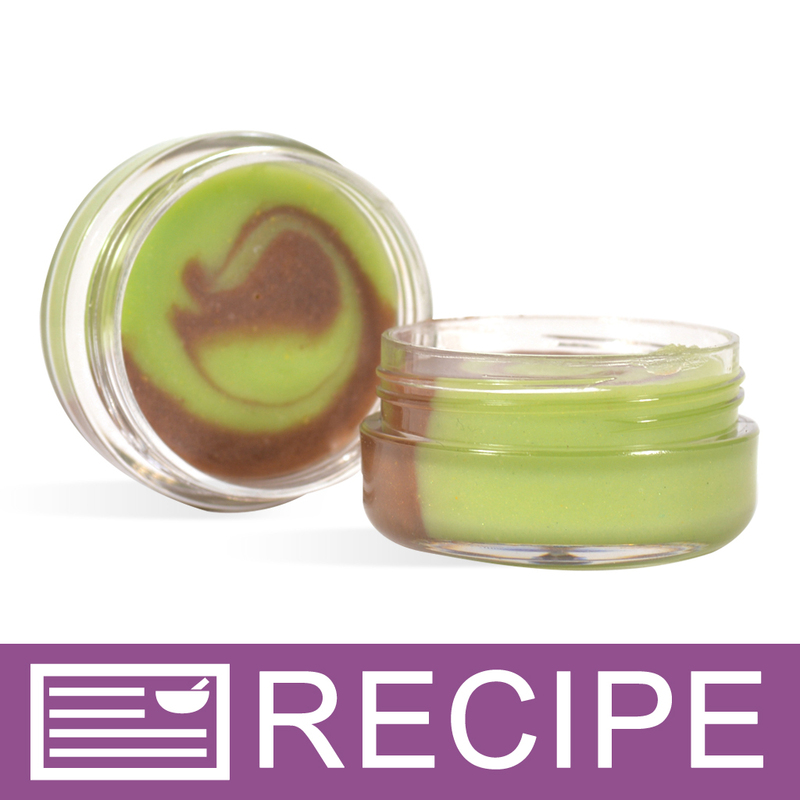 You can also mix this half and half with the Lip Balm Base for Sticks to make a less runny product: http://www.wholesalesuppliesplus.com/handmade101/how-to-make-recipes/caramel-swirl-lip-balm.aspx. "Can this base be used for lip balm sticks?" Staff Answer Our lip balm base for pots has a much softer texture than our lip balm base for sticks and therefore, should NOT be used in sticks. "How much Tapioca Starch - Pure would you recommend to add to this base to thicken it up a bit? Thanks." Staff Answer You could try adding about 1 teaspoon to 2oz. of lip base. This should thicken it up so it is not as gooey a product. 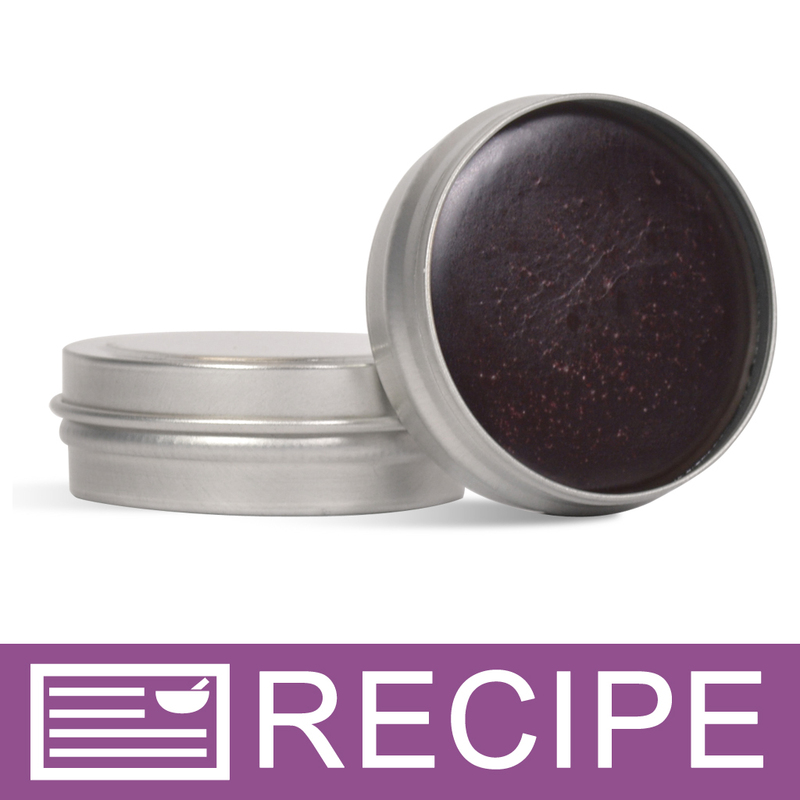 "Hi I was interested in getting this product to use in a lip scrub. Will it work for that? Will it have a good consistency and kinda make the scrub thick? Will it also extend the shelf life of the scrub?" "How much of the sweetened flavor oil should I add to this to make 24.5 oz pots?" 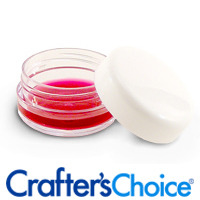 "I just purchased this lip balm base for pots for the first time, and it seems very runny to me. The base is cold, it was in a store room at aprox 50 degrees and the base is the consistency of thick honey, you can pour it out of the tub.. will it firm up if I were to make a batch? Does it stay this consistency??? " 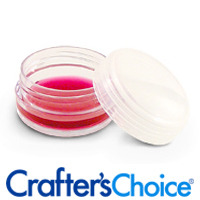 Staff Answer The Lip Balm Base for Pots is more of a lip gloss type consistency. If you are looking for a harder base, in one customer rating they mentioned to "mix 50/50 lip balm for pots and lip balm for sticks". They said it makes the perfect not too hard not too soft Lip balms for pots. It will harden a little after pouring, but it definitely is not a "hard" base, and is more of a gooey consistency rather than a stick consistency. Parabens are a class of chemicals widely used as preservatives by cosmetic and pharmaceutical industries. Some people won't use parabens since they may be linked to some health issues. "About how many of the 1/3 oz pots will a 1lb tub of this base make?" "I want to use pots for lip balm. I don't like waxy feeling lip balms I generally get in a tube. If I find this Base For Pots is a bit greasy feeling, what can I add to it to make it less greasy? Someone else suggested buying one of each of your lip balm bases and mixing them to get the right consistency. (That's an awful lot of lip balm to make at once for me.) I considered just a little bit of bees wax, but not sure at what amount? Anything else you can suggest if I want to make it less greasy?" Staff Answer You may experiment by melting beeswax and adding it to your formula at up to 2% (less for a softer product). You may also try adding Tapioca Starch- Pure to absorb some of the oils and make your product less greasy. "Are the Lip Balm Bases gluten free?" Based on the ingredients list, this base would be gluten free. "Can this be used in a lip gloss container with a wand, or will it be too thick?" This would be really thick and unusable with a wand as-is (it is a solid at room temperature state). However, it is a good base if you wanted to incorporate additional oils or Versagel (which I wish WSP sold!) to thin it into a gloss for a wand tube or squeeze tube.